Join us May 10-12th, 2019! 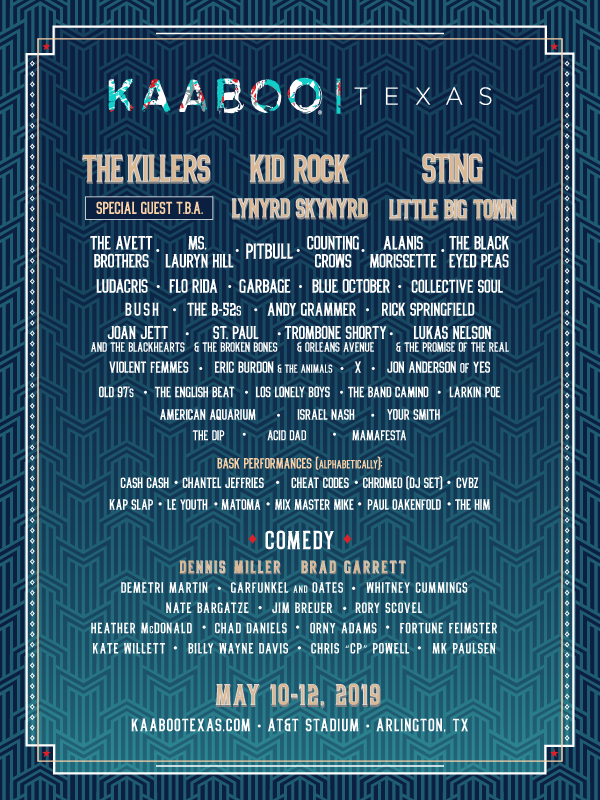 Arlington, TX (April 5, 2018) -- Entering into its fourth year of successful KAABOO events in San Diego and a recently announced destination event in Grand Cayman in 2019, KAABOO continues its expansion — this time coming to Texas. KAABOO Texas will be a collaboration between KAABOO and the Jerry Jones Family, the visionaries behind the legendary Dallas Cowboys. The event will debut at AT&T Stadium in May 2019. KAABOO’s distinctive brand, which provides a five-star live entertainment experience, featuring world-class music, hilarious comedy, inspiring contemporary art, delicious gourmet cuisine + craft libations, a Vegas-style day/night club and a curated host of pampering amenities. 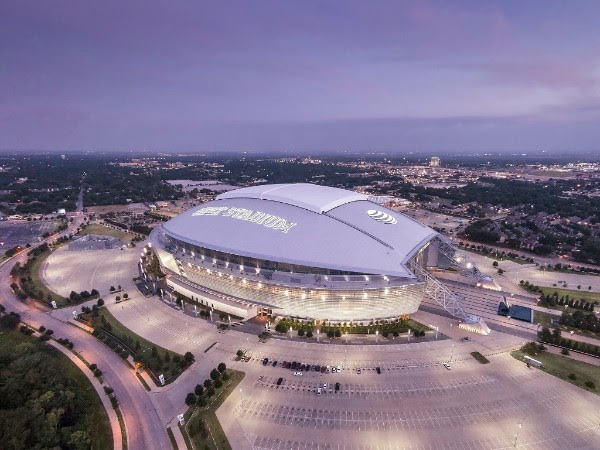 This upscale experience pairs well with Jones’ vision for the Dallas Cowboys, which has cemented its status as the highest valued sports franchise in the world. KAABOO Texas will represent both brands shared energy, creativity, and willingness to elevate traditional concepts. The Cowboys organization has been on the cutting edge of creating more engaging experiences, providing new and unconventional ways to connect with fans, making the KAABOO brand an ideal partnership.